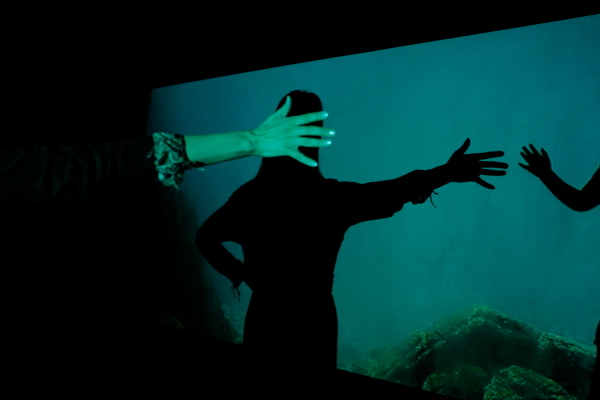 Video installation Encounter (2012) includes the viewer as a part of the image. My starting point has been my relationship with the surrounding world. I long for connection and understanding even if I am not always reaching that. You can try to grasp for it, but it might result instead as a photograph or just a graze. 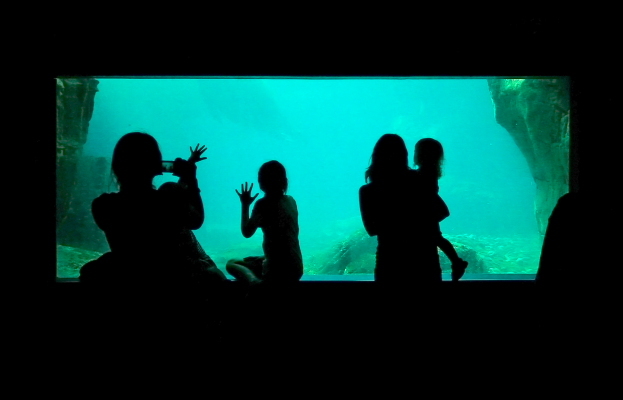 In this work people of different ages and backgrounds meet a marine mammal. For a moment they are as if they were close to each other, almost in an encounter, but still all in their own realities. 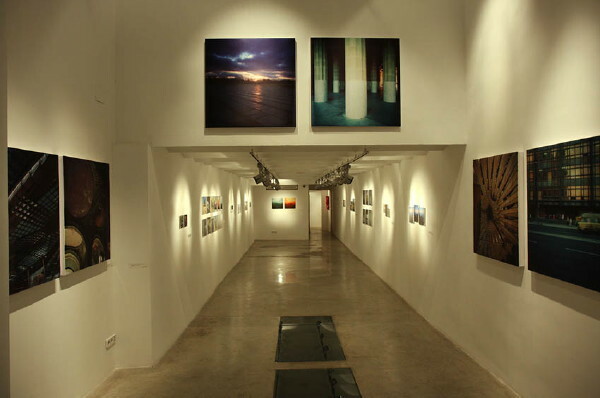 The sound in the work is very physical, vibrating in low frequencies. I have generated it from two sinewaves. The other frequency is 8 hz, which is about the natural vibration frequency of the earth and the other one is 19 hz, which is just below the hearing limits of humans. 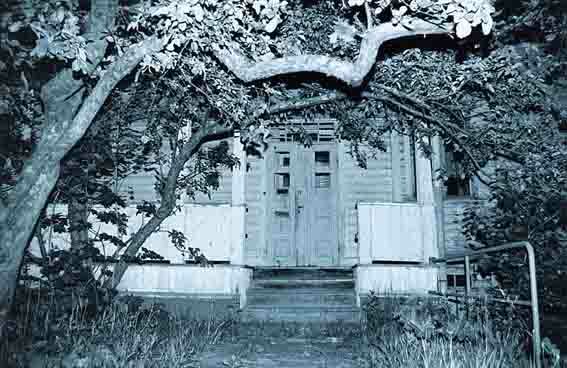 Infrasounds have been found in spaces where people have experienced paranormal activity. Many animals also communicate with infrasound. 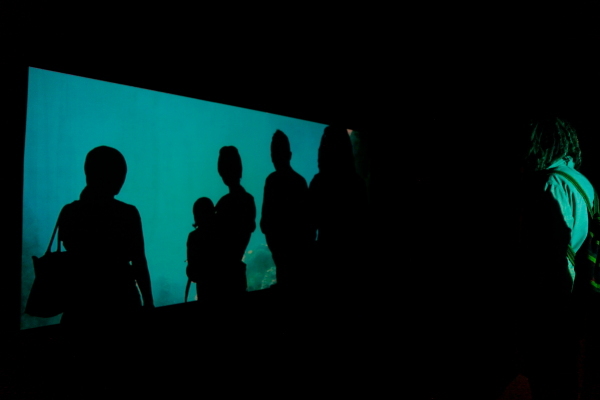 I have recorded the video in New York Aquarium. 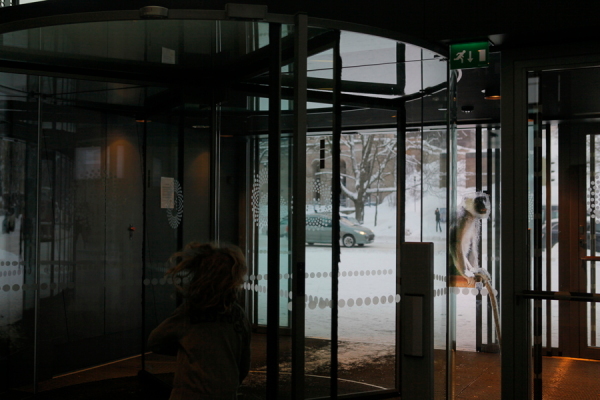 12 monkeys and other disturbances was a photographic installation at the Helsinki Music Centre on occasion of the Sibafest Festival 27th January - 4th February 2012. I photographed, edited and printed pictures of at least 12 monkeys, more than 150 fishes, over 100 medusae and some other marine mammals and waterplants. 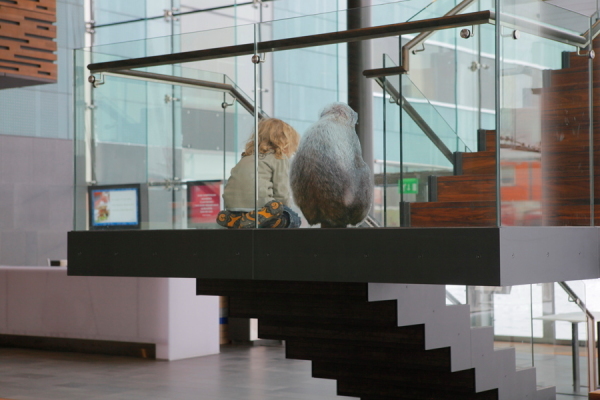 The pictures were printed on hand-made acrylic film and attached on glass surfaces at the Music Centre. It all took me six months to complete. 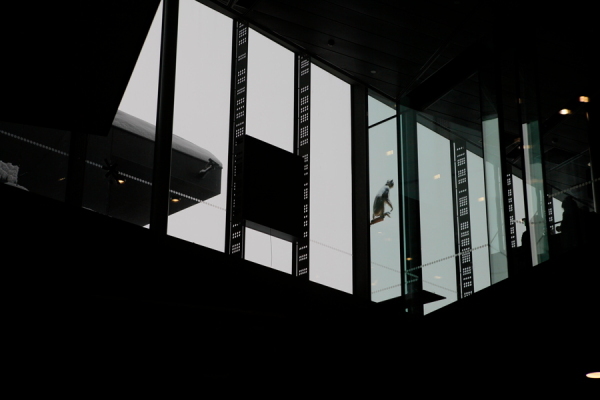 The work is actually divided horizontally to two parts: one that is situated below the ground in the building, and one that is above. 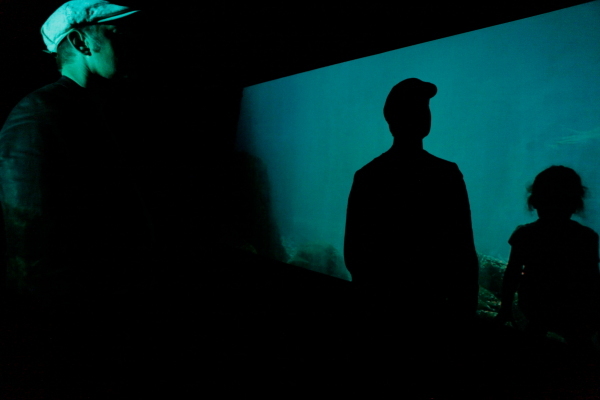 It is a thought experiment, which transforms the space temporarily. The monkeys are seen in the upper part of the work. This part is a reference to more than one movies where animals take over the city. 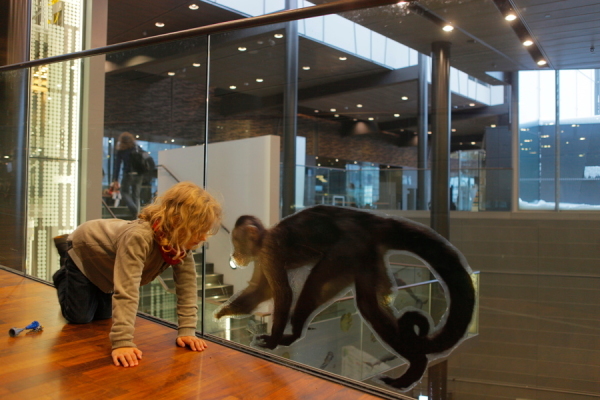 These monkeys are more thoughtful than wild, and they seem to ponder whether they could feel like home here. The lower part of the work comments on the architecture. 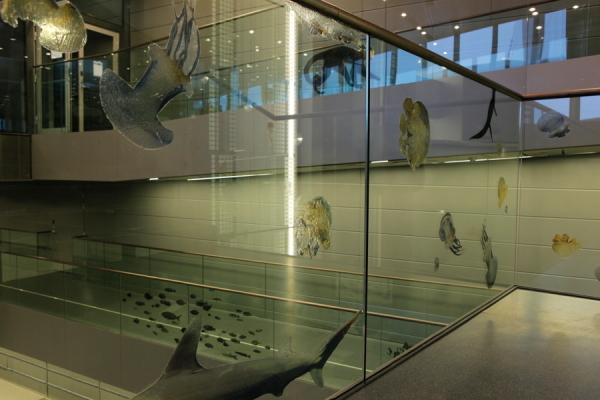 Large glass-surfaces are popular in contemporary architecture, and at least in public building there are vurtually no walls where you could put paintings. People sometimes refer to this kind of houses as “aquariums”. The space looks a lot like a pool of water, so I thought it convenient to put marine animals there. 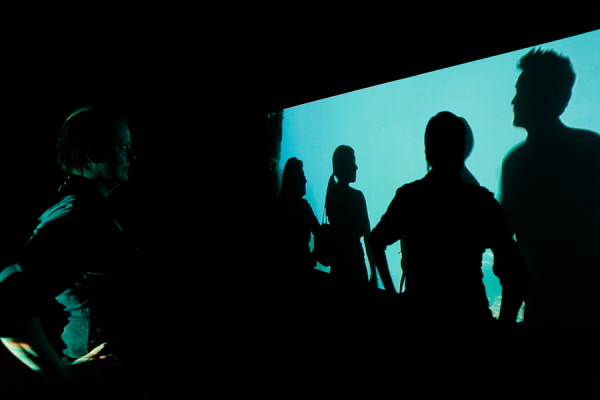 Tis way the space is turned into an aquarium - if only in imagination. The work also resonates with the theme of the Sibafest classical music festival: it is about taking care of and setting them free. 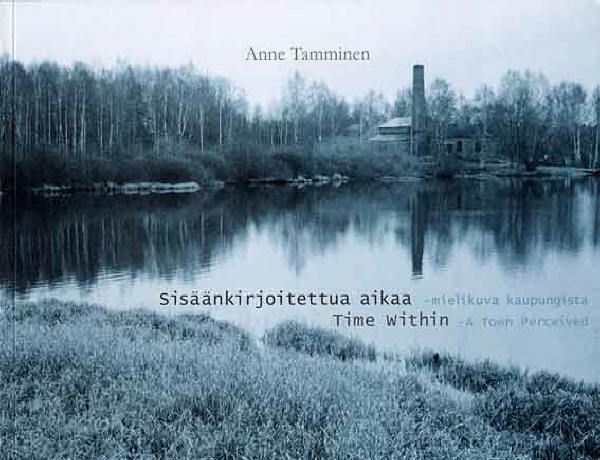 Time Within - a town perceived is an original art book made by Anne Tamminen with texts by art historian Jonni Roos. In finnish and english. Sold in book stores in the Hämeenlinna region in Finland. You can also contact Anne Tamminen directly to order it via mail. 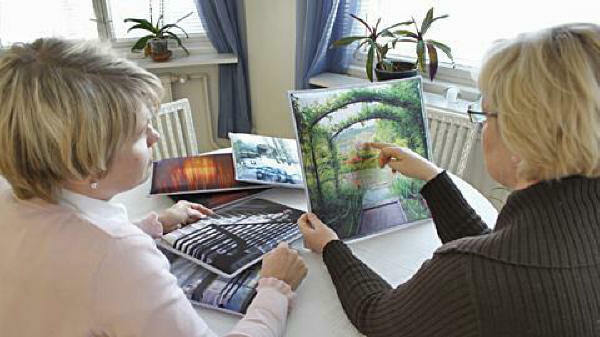 The Open story -series of works are images printed on pillows, so for example elderly people and people living in health-care institutions can easily hold and look at them. A group of these pillows can be used in several ways, for example as a memory game, or just as cues for group discussion. 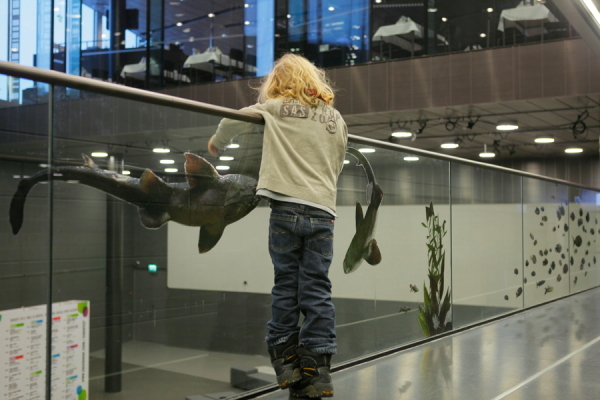 Open story belongs to a project by Hämeenlinna museum of art intending to promote the accessibility of art. More information in finnish here. 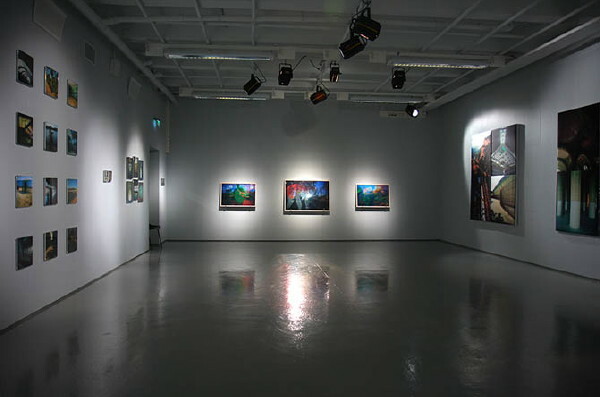 Solo exhibition in Studio Maltinranta, Tampere, Finland 12.2. - 1.3.2011. Here is a blog post on it by a critic in finnish.